Printing beautiful cards is now easier than ever. SMART is the perfect solution for personalizing graphic quality single-side ID cards. 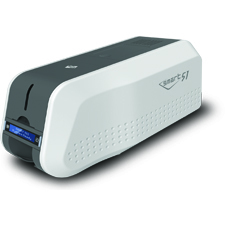 SMART-51S printer produces full-color or monochrome cards in moment and it is ideal solution to print ID cards on demand or in volume.